A departure from my usual subjects. Recently I have been photographing and painting musicians and related images, as one of my activities is playing music, often in traditional irish music sessions. 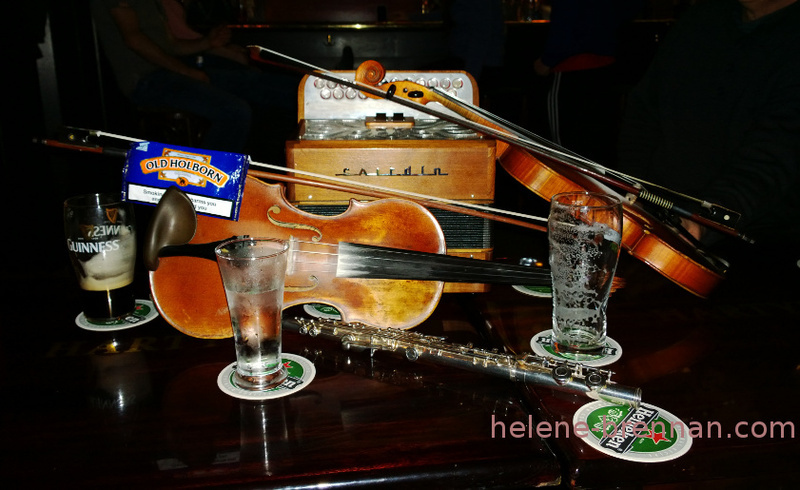 Here is a photo of the musician’s instruments on the bar table at the end of the night, after a session.